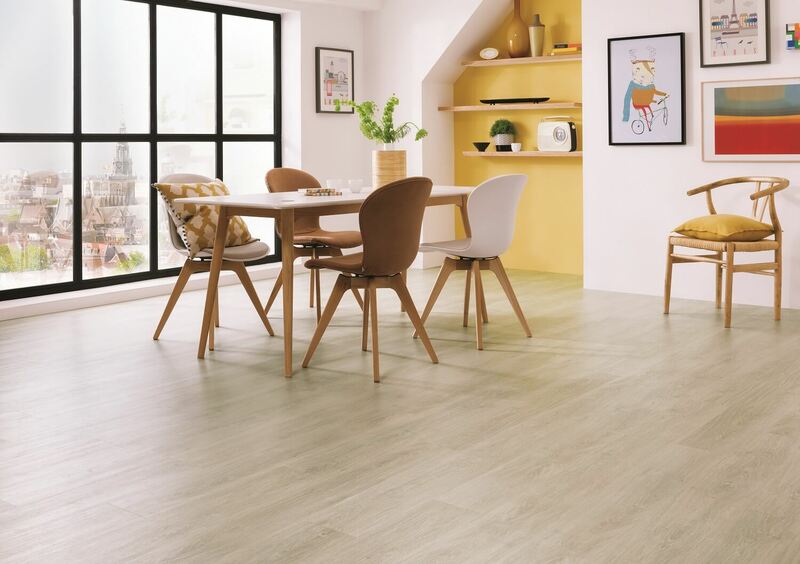 Karndean Palio Clic comes in a range of highly realisitic wood and stone designs. It uses Karndeans patented click-locking system so you can simply click together the pre-cut plants or tiles into place - you don't even need adhesive! Each plank boasts realistic textures and grains, with a hard-wearing and easy to clean wear layer and it won't swell, crack or warp.